The Newport Collection 27-inch x 32-inch mirror adds yet another highlight to this dazzling collection. Featuring the signature French Grey finish. It hangs vertically and coordinates perfectly with the handsome Newport vanity to create an eye-catching combo. Elegant solid wood framed mirror in dark espresso finish. This mirror comes with high quality 0.8-inch thick mirror and waterproof wood finish that protects and prevents rusting against bathroom humidity. Frame Dimensions: 35.5-inch W x 1.3-inch D x 31.5-inch H.
The elegant Foremost Naples Wall Mirror in Warm Cinnamon features a poplar-framed design in an expansive, rectangular shape that complements a variety of bathroom styles. Highlighted with subtle architectural detailing, the frame is finished in a warm cinnamon tone to create a classic, upscale appearance. Mounting hardware is conveniently attached for easy vertical hanging. 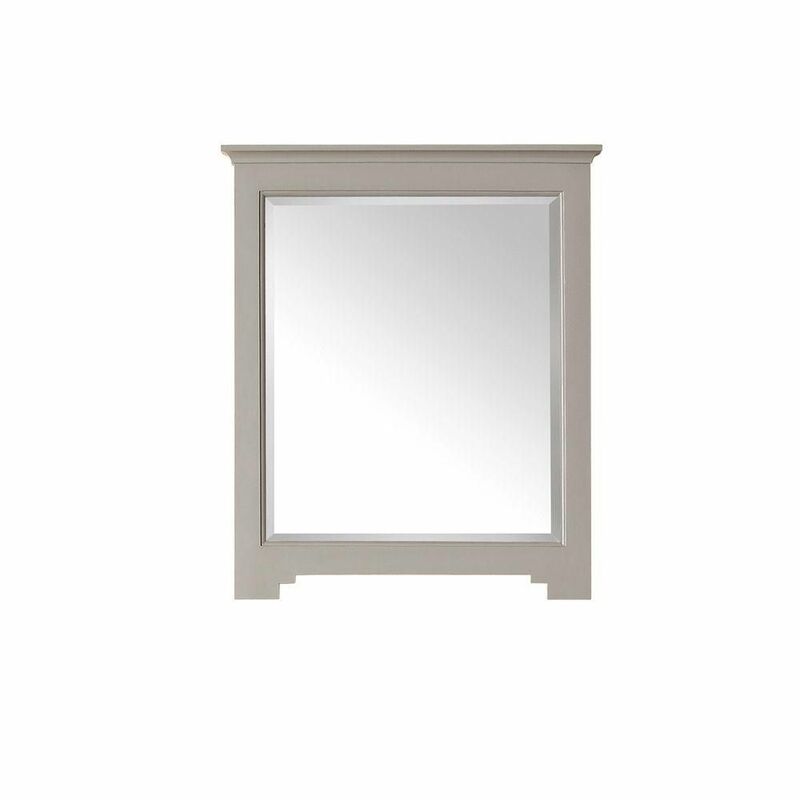 Newport 32-inch L x 27-inch W Framed Wall Mirror in French Grey The Newport Collection 27-inch x 32-inch mirror adds yet another highlight to this dazzling collection. Featuring the signature French Grey finish. It hangs vertically and coordinates perfectly with the handsome Newport vanity to create an eye-catching combo.